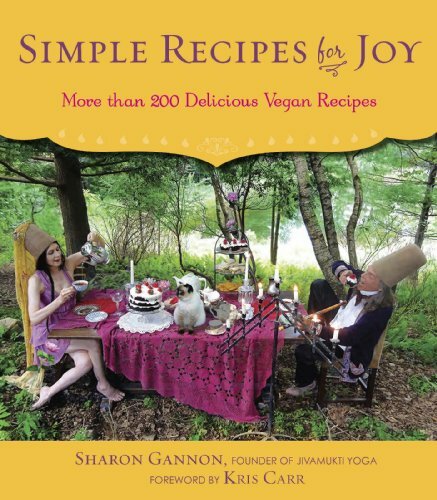 Save your life, your time and the planet with Simple Recipes for Joy, a vegan cookbook featuring recipes from the Jivamuktea Cafe! This book is an offering of easy, fun and practical ways to create more happiness and joy in your life, in the lives of others and on the planet. In 2006, Sharon Gannon and David Life opened the Jivamuktea Café to complement their yoga school as a living expression of how compassionate spiritual activism can be put to practical use. It, too, was an immediate success. The peaceful ambiance, the camaraderie, and, most of all, the delicious, hearty fare struck a chord with patrons who were thrilled to eliminate meat and dairy from their diet without sacrificing taste. 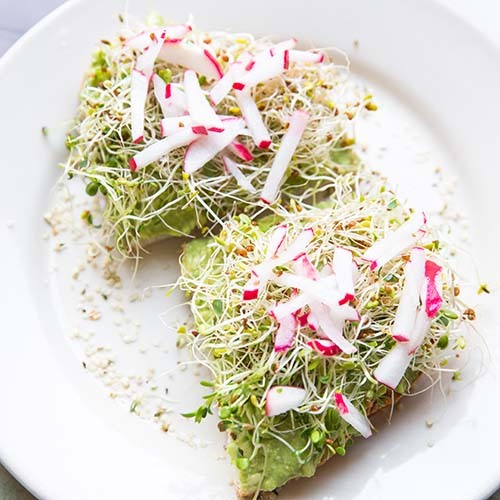 Thousands of customers—including Russell Simmons, award-winning film director Darren Aronofsky, and Eco Spokesmama Chloé Jo Davis—have become devoted fans of Gannon’s cruelty-free burritos, chocolate mousse, and flower salads. Now, for the first time, Gannon presents the secrets behind the café's acclaimed menu—and also showcases her own home cooking, with recipes she’s been making for family and friends for decades.